Does the Mass Demand a Certain Level of Dignity? 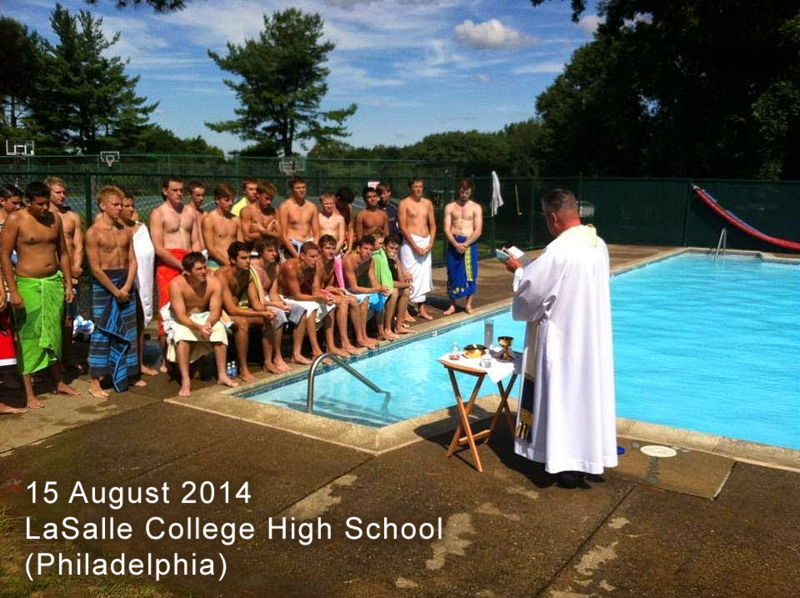 Sadly, we have seen Roman Catholic “Pool Masses” captured in photos. Such instances relate to a church music topic. UPDATE: According to an email I just received, this was from the “Episcopal Diocese of Southern Ohio.” As I said when I initially posted, I have no doubt the full details will be revealed eventually. I started to ask myself how anyone—myself included—could argue against such motives. After all, isn’t sharing joy a good thing? One could certainly cite official Church documents from Vatican II which mandate that Gregorian chant be given first place in liturgical services (followed closely by classical polyphony). However, let’s be honest: nobody seems to care what Vatican II said. When I took my children to a water park, one child kept being rude. Rather than waiting his turn, he pushed the other children out of his way. I was appalled by his behavior, and wondered what kind of parents raised him. I renewed in my heart a desire to bring up polite children, in spite of what others might do. This is our situation with church music, I believe. Anyone can find examples of priests allowing inappropriate music in church. (Indeed, even some cathedrals allow scandalous music.) However, we must do what’s right—no matter what others do. 1 Certain people—especially “professional” liturgists—become extremely angry when you start down this path. They especially loathe being asked whether any musical style is inappropriate for Mass. And they can become irate when you demand specific reasons why such-and-such a style of music is inappropriate for Mass. If they were honest, they would admit that any musical style is suitable for Mass in their view.